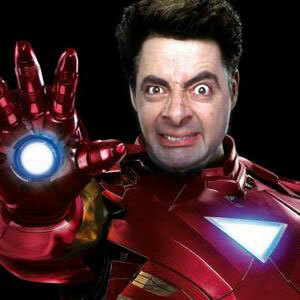 Mr. boon As Iron Man. . Wallpaper and background images in the Mr. boon club tagged: mr. bean bean mr. rowan atkinson mr bean. This Mr. boon fan art might contain verbrandingsmotor ijs, internal combustion engine, ice, interne verbrandingsmotor, ijs, buitenboordmotor, buitenboordmotoren, tabberd, and tabard inn.